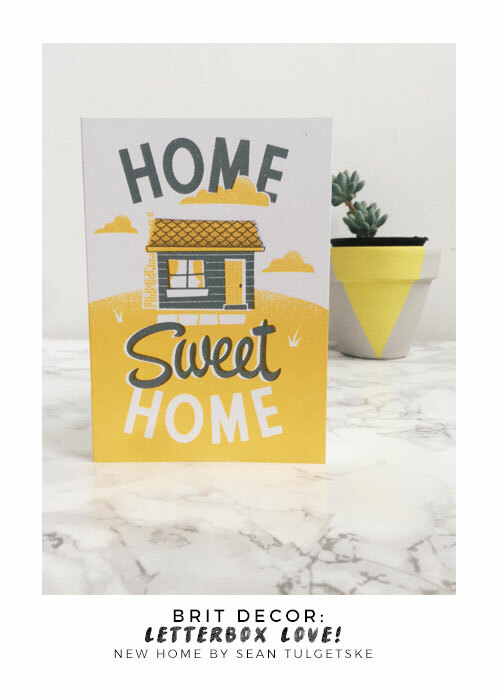 Brit Decor : Home Page: Letterbox Love - My monthly treat from CardNest! I am increasingly growing accustomed to the notion of rewarding myself each month with a little treat, or two, depending on how hard I've worked. 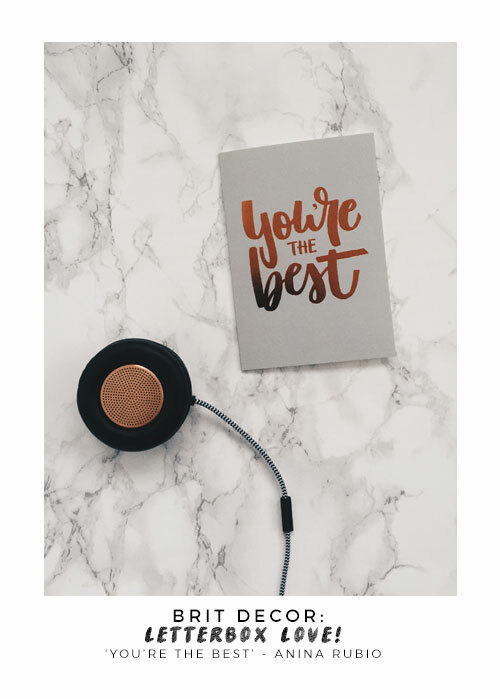 The mere notion of having a gift selected for me and delivered directly to my doorstep every month is the perfect antidote to a heavy workload. (I also get to avoid the manic Christmas shopping scene - keeping hold of my sanity, for now at least). 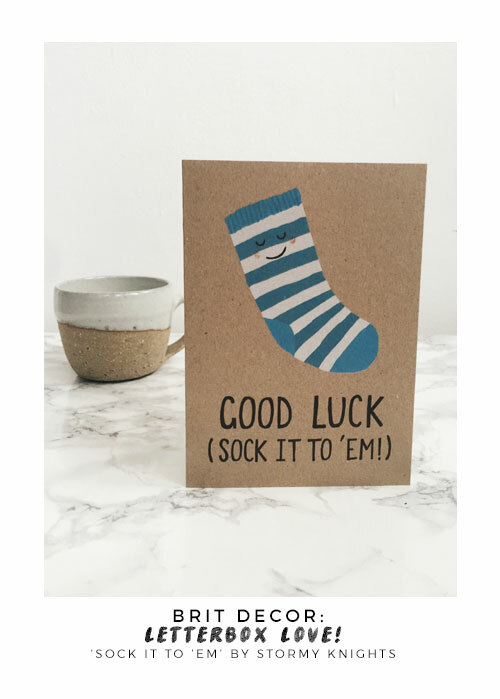 I recently discovered Bristol-based CardNest via social media and was immediately taken with their range of eye-catching, unique designs. 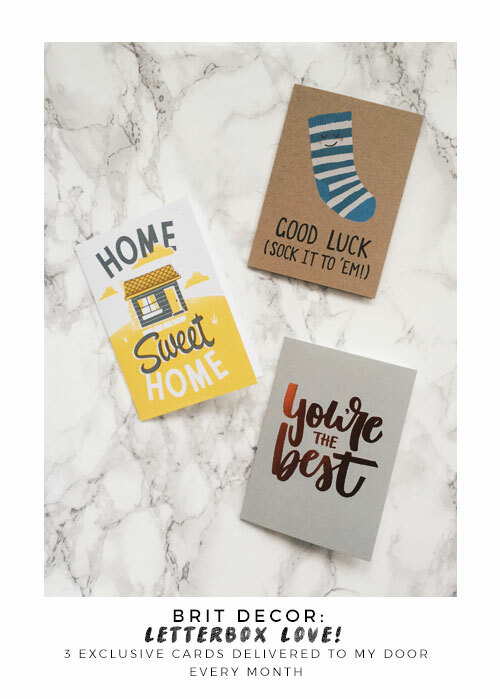 The concept is so simple it's easy to describe in a 'nutshell' - the team scours the globe for talented card designers and then subscribers receive three exclusive greetings cards each month. That's it! 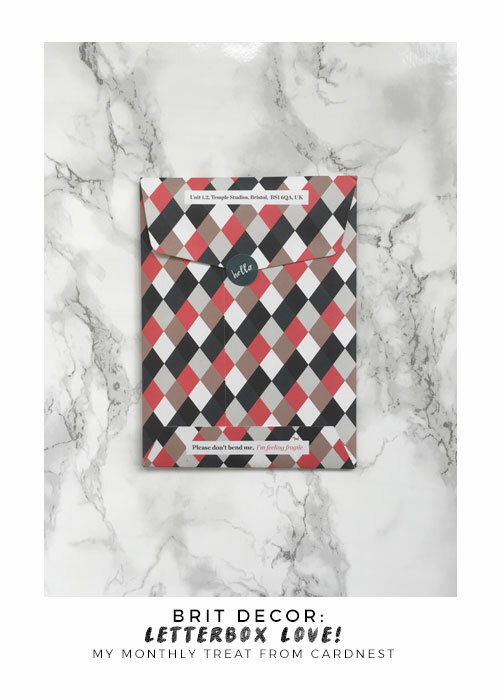 If like me you have a serious stationery crush, this is an awesome way of indulging and at the same time building up a gorgeous collection of cards for all occasions. In fact, some of the designs are so good I may well frame them for my office wall! I hope you'll hop over to meet the folks at CardNest to say 'Hi' www.cardnest.com.